After the collapse of Soviet Union, India needed a change in its policy. Opening up its market with economic liberalization and globalization, India felt the requirement of securing trade and invite more foreign investments. At that time, South East Asia was experiencing a massive growth and economic development. Countries like Singapore and Malaysia were being recognized as the region with an impressive economic potential. India’s Look East Policy emphasize on forming more beneficial ties with South East Asia, Japan, South Korea, Australia and New Zealand, etc. Until 1990s countries in the east did not have a good opinion about India because of corrupt government, bureaucracy, poor population, India’s defeat by China in 1962 and its inclination towards Soviet Union. But with the time as India established itself on the track of progressive economy, its recognition as a potential regional and economic power got strengthened. India’s Look East Policy gives an opportunity to India to improve its North East region which is up till now somewhat ignored and there has been no solid strategy for inclusive growth and development of the region along with more people to people contact with the rest of India. With the inclusion of Myanmar in 1997 as the full time member of ASEAN it has become very necessary for India to utilize the benefits of ASEAN and develop land route connectivity with South East Asia creating a region of economic cooperation with other ASEAN nations. 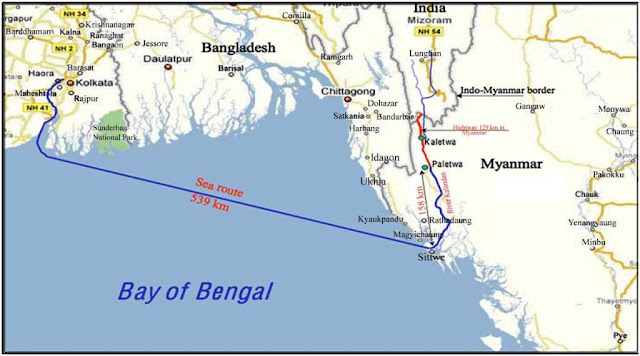 In a move to enhance connectivity between north east India and South East Asia, the important projects which are undergoing or in pipeline are Moreh -Tamu–Kalewa Road, India-Myanmar-Thailand Trilateral Highway, Trans Asian Highway, India-Myanmar rail linkages, Kaladan Multimodal project, the Stilwell road, Myanmar-India-Bangladesh gas and/or oil pipeline, Tamanthi Hydroelectricity project and optical fiber network between Northeast India and Southeast Asia. Former Prime Minister Atal Bihari Vajpayee understood the importance of the land route connectivity between India and South East Asia and in 2003 at the India-ASEAN summit in Bali, Indonesia, he proposed holding of a car rally to attract attention to the geographical proximity and its economic potential. India-ASEAN car rally has been organized two times from Indonesia to India via Singapore, Malaysia, Cambodia, Vietnam, Lao PDR, Thailand, and Myanmar driving vast attention and tourism. 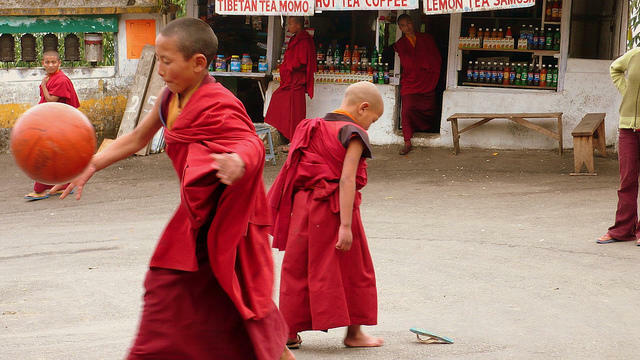 North East India has more proximity with other countries than with the rest of the India. This frontier region has a mere 37 km link with the rest of the country, but has a 4500 km length of border with other countries of the subcontinent, say Burma (Myanmar), Bangladesh, Bhutan, Nepal and China. Most of the commercial products used in North East are manufactured in a distant manufacturing site somewhere else in India. Supplying these products to North East is another problem due to bad roads and infrastructure. While developing current roads and infrastructure should be a priority for India, alternative sea route via Myanmar, Bangladesh and alternative land route via Bangladesh must be developed by exploring mutual benefits and areas of cooperation with these countries. Having only a small enclave connection with north east India can be very risky if by chance India goes on a state of war with China, while securing it should be another priority. However, the policies which are being formed in centre leaves a very small role for the state government of the North East India. If the program is to improve the situation in the North East, then the central government must take the consultation and suggestions from the state governments. Otherwise what we might see is North East just becoming a passage for free trade between the rest of the India and East Asia. What we require now is generating and developing self-reliance, giving opportunity to the region to generate its own economy for its own sustenance with a motive of “One and Equal India”. North Eastern culture, music, food along with developed products will create a positive impact on the rest of India which upholds unity in diversity. When people will see a product from north east they will recognize it. They will learn more about north east. This way North East can create a bigger sense of its existence and importance in the minds of other Indians. For example, popular dish Momos is the native of Nepal and Tibet, but how many of us know that it is also native of Darjeeling, Sikkim and Arunachal Pradesh? Instead of saying it is North Eastern cuisine we proudly say it is Chinese cuisine and find it in all Chinese restaurant. This is the solid case of ignorance and a strict policy is needed to recognize the North East. One of the prerequisite for any development in North East is security. While opening new roads and rail with neighbouring countries will benefit people, it will also benefit insurgents and cross border militants. India maintains good relations with Nepal, Bhutan, with the current government in Bangladesh and efforts are in process to redevelop the ties with Myanmar catching up with China. Still not known to many, Myanmar is the second arm of India, like Pakistan is the first arm. In 1947 Pakistan was divided from India, similarly in 1937 Myanmar was divided from British India. Both India and Myanmar share some history which can be explored further to develop better emotional ties. 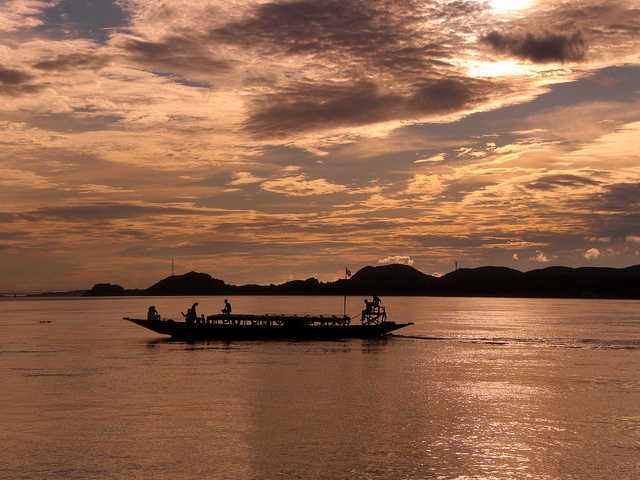 In Prime Minister Manmohan Singh’s last year’s visit to Myanmar a number of agreements were signed to facilitate access to Myanmar’s natural resources, however many more agreements signed were aimed at promoting development along the 1600 Km long border region shared by India and Myanmar. Gradual political reforms coming after decades long of military rule is now making way for foreign investment, North East India can benefit from increasing opportunities in Myanmar. “I am quite optimistic that the development in Myanmar will be fast paced and that this will be matched with development in the Northeast,” said Mr. Singh. Among several agreements India will help upgrade a vast network of roads and bridges in Myanmar that will connect North East India with Thailand as soon as 2016. India and Myanmar will soon start a bus service that will connect Myanmar’s second largest city of Mandalay with India’s Imphal, the capital of Manipur. To promote peace and tranquillity in the border areas there is also plan to setup schools, health centres, agricultural training centres and open markets, bazaar and haats. 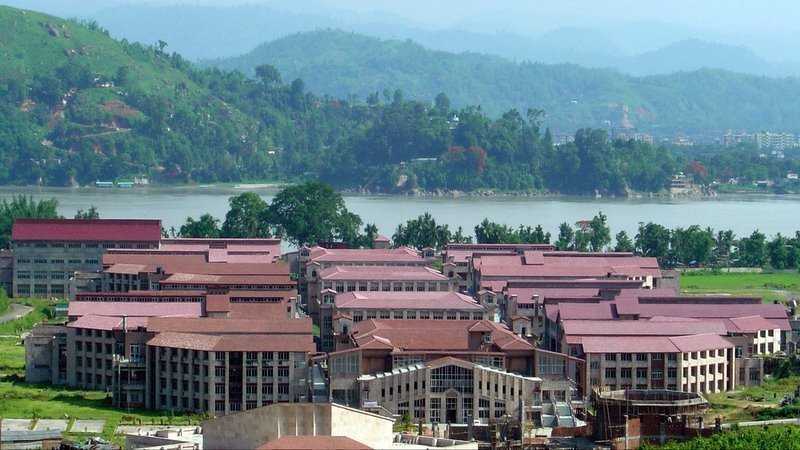 Both the countries are also working on a US$500 million project Kaladan Multi-modal Transit Transport Project that will facilitate river trade between the two nations and link India’s Mizoram with Bay of Bengal with the help of US$120 million project to develop Sittwe port in Myanmar at the mouth of the river. This project will considerably reduce the distance between East and North East India. India can also use Bangladesh’s Chittagong port which is just 200 KM away from Agartala in Tripura (India) to connect the city with Kolkata via Bay of Bengal, but India’s proposal has been refused multiple times by the Bangladesh government. While lots of efforts is being put on to connect the region with the help of other countries, India must not ignore the potential of interconnectivity within the region with rail and roads. Today the rail infrastructure in the region is almost as much as where British engineers had left. If India can construct railroad in Kashmir, railroad in north east should not be of much problem. This railroad will also ensure India’s security in any war like scenario with China. It is the time for India to give special status to North East and integrate it with rest of India for better economic growth, sustainable development and security without disturbing the environment and nature. For all these time the region was ignored, India must repay with respect and dedication for the welfare of people, culture, nature, food and music. The Dawn, Pakistan’s leading English newspaper tried to give the communal colour to the 23 killings of Muslims last week by National Democratic Front of Bodoland (Songbijit), a militant faction of NDFB under IK Songbijit. But little did it mention about the cause of conflict which is more of Bodo/Non-Bodo centric than religious clashes. These Bodoland related killings and agitation dates back to Nellie Massacre on February 18, 1983 when 1800 women, men and children belonging to immigrant Bengali speaking Muslim families were killed in just one day during the course of anti-foreigners agitation spearheaded by All Assam Student Union and since then there is a string of killings with Bodo-Muslim clashes of 1993 and 1994 which ended up displacing 2074 families in Kokrajhar and 1,740 families in undivided Bongaigaon, claiming 113 lives. Bodo-Adivasi clashes in May 1996 & 1998 claimed 198 lives displacing 2, 02,684 people triggering the worst ever humanitarian crisis, with some people living as long as 17 years in relief camps. This demand for Bodoland was not raised for the first time in 1987. The movement has its origins in economic and sociocultural aspirations of Bodo people who first raised a demand for Bodo homeland under British rule but it was not until 1930s that they began to organise themselves. After Nagaland became a state and anticipating further change in the landscape of Assam during the states reorganisation committee under the then Prime Minister Indira Gandhi in 1969, Bodo leadership formed a political party called Plain Tribal Council of Assam (PTCA). The BAC became a failed experiment as the territory of Bodo/Non Bodos was not properly demarcated and there was no political or financial authority provided to this council nullifying the very purpose of economic and sociocultural recognition for Bodos in the Assam land. This lead to resentment among the Bodo groups and this is the point from where Bodo politics started becoming confusing. The ABSU, under its then President Swambla Basumatary rejected the accord reviving its demand for separate state. During this course of political bargaining PTCA split in 1984 under its militant leader Binai Khunger Basumatary forming a new party United Tribal Nationalists Liberation Front, Assam (UNTLF) and working in tandem with ABSU and both the organizations blaming PTCA for sacrificing interests of tribals. In the background, a militant outfit known as Boro Security Force (BdSF) (at the time of its inception on October 3, 1896) was planning to take the main stage of Bodo liberation movement and with the weakly coagulated accord of BAC; it saw its chance to coming to forefront and killed Swambla Basumatary. BdSF was known as NDFB after another split group of Bodoland Liberation Tigers (BLT) in 1996. With the killing of Basumatry, fierce fratricidal clashes followed among the Bodo groups while waging a parallel campaign of statehood with ABSU-led revived movement and BLT killing loyalists of each other. In the event, the NDFB, which has close but undefined links to the United Liberation Front of Asom (ULFA) and other separatist armed outfits, remained committed to the goal of a ‘sovereign Bodoland’; the BLT, after nearly four years of its own ‘armed struggle’ and a lot of killings, entered into a ceasefire agreement with the AGP government in March 2000, preparatory to peace talks. Now it was NDFB which had taken the center stage instead of ABSU and PTCA, who were sidelined by second Peace Accord with AGP and then again the series of killings began, the worst being Bodo-Adivasi clashes on 1996 & 1998. Initially some ABSU leaders started joining BLT when it became a full fledged party but the elections of tribal council brought further discord forming another new party Bodoland People’s Progressive Front (BPPF), which was constituted by ousted ABSU and BLT leaders. The party further split into the BPPF (Hagrama), led by Hagrama Mahilary, the erstwhile BLT chief and chief executive member of the ad hoc BTC, and BPPF (Rabiram), led by Rabiram Narzary, former ABSU president. BPPF (Hagrama) after getting a wide mandate from tribal people in the council election rechristened itself as Bodoland People’s Front (BPF). Where BPF and BPPF had taken to politics of the state ruling Assembly elections in coalition with Tarun Gogoi’s Ason Gana Parishard (AGP), NDFB kept going with its militant attacks in the state projecting itself as Pro-Bodoland outfit. However in 2008, during the general assembly of the NDFB, its founder chairman Ranjan Daimary was replaced with B.Sungthara. But Daimary claimed the president position of NDFB which resulted in the alleged involvement of Daimary on October 30 serial blasts in which as many as 18 bombs went off in the markets of Guwahati city killing 77 and injuring 470 people. This had split NDFB in further two factions, one led by Daimary known as NDFB (Ceasefire or Progressive) who signed a ceasefire accord with the Gogoi’s government in Assam. But still the faction led by Sungathara which is now NDFB (S) continued its aggression. Political and militant outfits are splitting into further factions. When government signs an accord with a militant organization, the unsatisfied group in the outfit forms another new outfit again creating the atmosphere of terror strikes and sporadic killings. The issues of land in India may it be of Telangana, which has recently been declared 29th state of India or of Khalistan movement which want a Sikh dominated region in Punjab or the ones having their demands to divide the state of Uttar Pradesh in parts, are the ones which have taken thousands of lives and have displaced millions of people in this 60 years of independence and all these outfits claiming to be the saviours of the rights of their individual’s community brings destructions to the life of common people, who are already suppressed with their economic and social burdens and in such case these right’s demanding outfit are no better than the one against whom they are fighting for their rights. These issues need a proper care from the government where it should set state organizations committee and genuinely look to resolve the issues unlike Maoism where even after forming CPI(Maoist), the campaigns like Salwa Judum have occurred, resulting in ever tensing situations and these outfits should also, act as spokesperson of the people whom they are representing, instead of trying to grab the power from the Central or state authorities with terror.